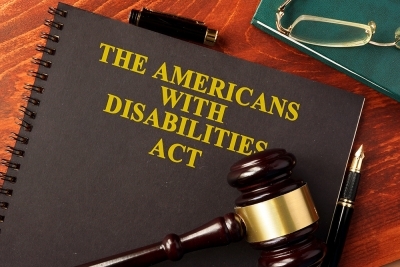 The focus of the ADA has primarily been on physical accessibility for persons with disabilities. Examples include wheelchair ramps, designated parking, elevators, handicap bathrooms, and chair lifts for swimming pools. Recently, however, the focus has turned to website accessibility. Although not a physical entity, a business website must also be accessible under Title III of the ADA. There has been a rise in lawsuits targeting small businesses with websites that are not ADA compliant. There’s also confusion about what is required because no formal ADA website regulations exist. This makes it easy for lawyers to go after “low hanging fruit” and sue for damages on behalf of a person or group who claim discrimination. If you think this only affects big business, read “Lawsuits Targeting Business Websites Over ADA Violations Are on the Rise.” This article – published in LA Times in November 2018 – profiles a 10-room boutique hotel that was sued and whose owner is struggling to either fight it in court or pay the damages. Many times, fighting it is more expensive. The hospitality industries – including hotels, lodging, campgrounds and restaurants – have been particularly targeted. If you offer online reservation services – those should be audited as well because there are specific Title III ADA regulations addressing them. It’s best to be proactive and implement several key items now to make your website more compliant. This includes adding Alt tags to images, adding labels to form fields and fixing empty links. If you know how to edit your website, you may be able to accomplish these on your own. However, outsourcing the project gets it done quickly and by a website professional. The clock is ticking as more lawsuits are expected in 2019! MorePro Marketing has a 20-year track record of improving digital marketing efforts for both large and small businesses. Plus, we have extensive experience in the hospitality and franchise space. To help our clients and other businesses begin the process of meeting ADA guidelines, we have developed three website compliance solutions – Standard, Advance and Custom. Choose the one that best fits your needs. We’ll perform the work quickly and effectively to help keep you out of the legal crosshairs. Contact Us to get started before your website is targeted! The report will open in a new browser window if pop-ups are allowed. Site not built in WordPress? We can provide custom programming services to make your site more compliant. The services listed include (Level A), (Level AA) and (Level AAA) recommendations from WCAG 2.1 which we feel will cover the most basic requirements for websites to provide ADA accessible websites to their visitors based on Budgets and Time. Campground reservations systems (as well as any other 3rd party service) being used on websites are sole and separate from the main body of the work we provide. Hosting and website accessibility as well as outside services used on the website may restrict us from making all edits as described above. Some websites may require additional work to provide ADA compliancy solutions to the above service packages. MorePro will notify the client before any additional work is started for approval. ** Please check to see if your State Campground/RV Park Association provides a discount for this service! Protect Your Website and Company by Getting Your Website Compliant – Starting Today! Please complete this form and we will get in touch with you.